Our girls share a room together upstairs in what is essentially our attic. In the winter, it tends to be very cold up there, and in the summer, it tends to get super hot up there. Our heating/cooling system hasn't been the greatest as the forced air just isn't strong enough to go up there. We solved the heating problem by buying a portable fireplace, and we will solve the cooling problem this summer by installing an air conditioning unit. Recently, I was sent the Gro Egg which is a super cool color changing digital room thermometer. Room temperature is vital in creating a safe sleeping environment for your baby and should be maintained at 61-67°F to help reduce the risk of sudden infant death syndrome (SIDS). I am super excited that I now know with just a glance at the color of the egg if the room is too hot or cold, and can adjust accordingly. It's that easy! This is definitely a product that I will not be without for many years to come. Another bonus is that it is super light weight and easy to travel with. Visit Keen Distribution and purchase a Gro Egg today. It has provided me with a better sense of peace so that I know the girls are sleeping at the optimal temperature. The amazing team at Keen Distribution has been so kind to offer one of my readers a Gro Egg to use in your house. Contest ends Wednesday, March 31, 2010 at 11:59 p.m. CST! *Congrats to #9: Kathleen-Hope it gets lots of use in your sons room! I've really wanted one of these for the nursery of our baby due next month. We live in HOT Las Vegas and I've been worried about keeping her room cool but not too air conditioned either. This seems like a great product! would love one for my son's room, it's so hard to maintain temperature in there. I have the same problem you do with the cooling and heating of my daughters room. Would love to have the item to help out with that! 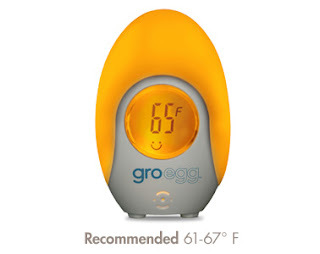 The Gro Egg would be perfect in my daughter's room. Brilliant product. I will use it in the children's room. My friend just found out she is expecting her 2nd child (after 13 years). I would love to win this for her to put in the nursery to keep the room at the ideal temperature. Thanks for the chance! I'm a fan of Jewels & Treasures on facebook. I would use it in the nursery with out second LO on the way. I would use this in my daughter's room. For some reason hers is always about 10 degrees off from the rest of the house. I would use this in the living room! 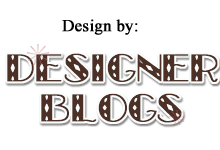 Jewels & Treasures Facebook fan! I'd use this in the girls room since their room fluctuates in temp so much.